You may say I’m a streamer, but I’m not the only one, as John Lennon might have sung had he been chief executive of a Hollywood studio. Media companies’ plans to jump into the streaming world have again been in the news this week, with both Viacom and Disney revealing some of their thinking as they posted their latest quarterly numbers. Viacom’s CEO Bob Bakish hailed the acquisition of free-to-view advertising-supported OTT TV network Pluto TV as a “game changer” for the company, giving it instant access to an established scale OTT play. Pluto TV will provide Viacom with a significant ready-made OTT user base and a technical platform on which to build future services. Speaking to analysts after Viacom posted its fiscal Q1 results, Bakish said that Pluto “fits squarely” into the company’s strategy of creating a differentiated direct-to-consumer streaming service that could exploit its content library and maximise the value of its advertising capabilities and relationships. Disney meanwhile broke out its D2C revenues – combined with international – in a new line for the first time in its Q1 results. Disney chief Bob Iger said that his company would demonstrate Disney+ at its Investor Day in April and provide “detailed insight” into its overall direct-to-consumer business. Iger also said that Disney was looking “more aggressively at international rollouts of Hulu” once it increased its stake in the streaming outfit as a result of its acquisition of Fox’s entertainment business. He said more detail would be provided once the acquisition, which will up Disney’s stake in Hulu from 30% to 60%, is complete. The strategies of Viacom and Disney stand at opposite ends of the spectrum of studio efforts to jump on the streaming bandwagon. Viacom – which of course lacks anything like the scale of entertainment giant Disney – believes that free is the key. 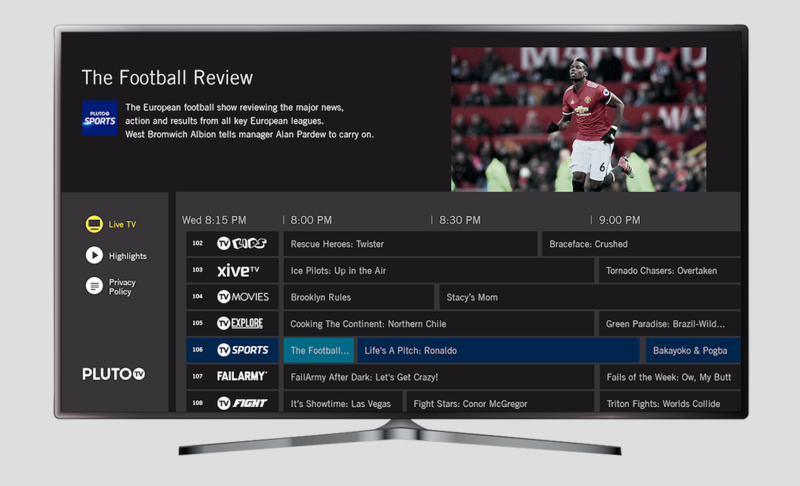 Bakish believes that Pluto TV’s free, ad-supported service can serve as a marketing tool for both old-fashioned pay TV channels and the studio’s new range of niche SVOD offerings such as Noggin and Comedy Central Now, but that it can also deliver value in its own right by enabling the company to make money through targeted advertising from content that is largely lying idle. The gamble is that Viacom can make more from this library content through creating additional advertising inventory than it could through licensing rights to SVOD players. Bakish says that current programming will continue to sit on pay TV affiliates’ platforms rather than on Viacom’s own D2C services. Bakish is not alone right now in believing that AVOD is a concept whose time has come. NBCUnviversal is also focusing on ‘free’ as the key to achieving scale, though in its case with a pay TV-authenticated model – a kind of streaming variant on the traditional dual-revenue model of distributing pay TV channels with advertising. Viacom also sees Pluto TV as a vehicle to extend its reach both domestically in the US, where Bakish foresees an opportunity for affiliates to use the service to attract and secure the loyalty of the growing army of cord-cutting and cord-never broadband-only subscribers, and internationally, where Pluto is already expanding in Europe. Disney, by contrast, is betting that it can sit alongside SVOD leaders such as Netflix and Amazon with a subscription service anchored around high-profile shows, notably Jon Favreau’s forthcoming Star Wars series. On the Disney earnings call, Iger expressed his confidence that “presented with an overabundance of choice, consumers will look to brands they know to sort through the options and find what they actually want”. He said that the strength of Disney’s brands would allow it to “break through the competitive clutter and connect with consumers”. Whether Disney+ can “break through” in an increasingly saturated market where Netflix is struggling to win new subscribers, at least in the US, remains to be seen. But Iger and Disney are betting not so much on beating Netflix at its own game as on a belief that the SVOD market is actually ripe for further segmentation. Disney+ is one leg of the studio’s three-pronged SVOD strategy alongside ESPN+ – which Viacom says now has two million paid subscribers, double the number just five months ago – and Hulu, the combined free and pay streaming platform that Disney will take majority control of when its acquisition of 21st Century Fox’s entertainment assets is complete. Iger said that Disney can “serve the consumer better by segregating all three” services, a statement that reflects his belief that established brands will be key to winning consumers in the streaming world, with Disney+ aiming primarily for a ‘family’ audience – albeit in the form of an offering will itself be home to other brands such as Marvel, with their own distinct following. This strategy hinges on some consumers looking for offerings that reflect particular tastes, while other sign up for multiple services. It also relies on the strength of certain brands to ‘cut through the clutter’ and capture subscribers’ attention. But whether large numbers of consumers will bite is uncertain. The multiplicity of SVOD offerings – from Netflix through Disney+ down to Viacom’s ‘targeted’ offerings – could equally lead to consumer confusion and resistance. I hope someday you will join us, and the world will be as one, as the Lennon song has it. Perhaps then the next big story in video services will be the return of the aggregator – a ‘super-provider’ that can provide the single-provider billing and universal content discovery that would really ‘cut through the clutter’. A bit like a pay TV operator, or perhaps Amazon or Apple. Of course, this still leaves unknown how much consumers will actually be willing to spend on the streaming video services that Disney and others have spent so much effort to build.